Wet, muddy conditions are par for the course when you're riding in British Columbia--be ready for them with the SealSkinz MTB Mid Sock with Hydrostop. 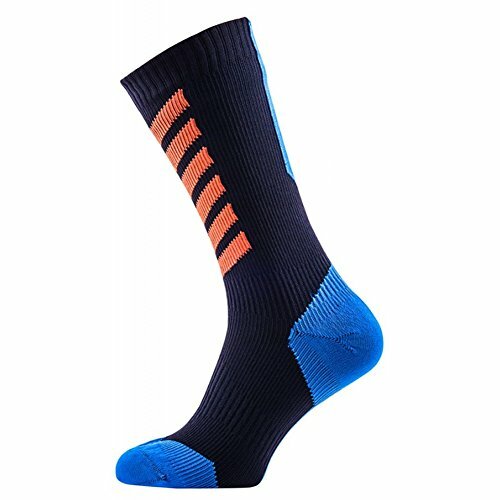 These thin mountain bike socks are made with a waterproof, breathable membrane to defend against the wet conditions you'll encounter when you're riding Whistler or Revelstoke, and a breathable and moisture-wicking merino wool lining ensures your feet stay dry from the inside by limiting the amount of sweat the fabric retains after a long ride. If you have any questions about this product by SEALSKINZ, contact us by completing and submitting the form below. If you are looking for a specif part number, please include it with your message.